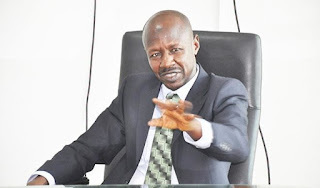 Acting Chairman of the Economic and Financial Crimes Commission (EFCC), Ibrahim Magu, yesterday said the war against corruption is a do-or-die for the growth of Nigeria. Addressing journalists after leading officials of the commission in a walk against corruption in Abuja, Magu said Nigerians must resolve to either win the battle or die trying. “The fight against corruption is now a war in which there is a clear line between forces of evil and those of good; between agents of progress and reactionary elements who mean no good. 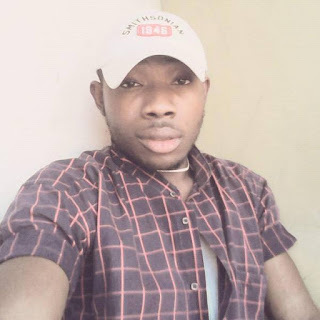 “But for those of us on this side of the divide, in the anti-corruption agencies of government, in the media and civil society, the dagger is drawn and I believe I am speaking the minds of everyone on this side. “We intend to neither retreat nor surrender in our noble intention to cure our country of the evils of corruption. The EFCC boss gave a strong warning to looters, stressing that the long arm of justice would eventually catch up with them no matter how hard they try to cover their tracks. Magu called on Nigerians to renew their common consensus against corruption and resolve to halt “Nigeria’s number-one enemy’’ in its stride. “As individuals and patriotic citizens of this country, we have to work out a united front against corruption in line with the theme of this year’s International Anti-corruption Day. “The formidable force against corruption that we need to form is not necessarily in physical groups or organisations, important as that is, but in our hearts to make a solemn commitment. He said Nigerians had a duty to, not only to support efforts of the anti-corruption agencies, but to help with information that would blow the cover on corrupt elements. The Acting Auditor-General of the Federation, Mr Anthony Ayine, who participated in the walk, decried the huge negative impact of corruption on the nation’s development. “I have to personally be present to participate in this programme. ‘‘I suspended everything I had for this because it is when we are united in this fight that we will defeat corruption. “But our people don’t understand the cost of corruption to this nation. Look at our infrastructure decay. It is principally because of corruption that Nigeria is where we are today. “Nigeria should be competing with other developed countries but for corruption.